NEWS LIVE: This report contains news live as it develops and is being updated continuously. Bookmark and refresh the page periodically for updates. 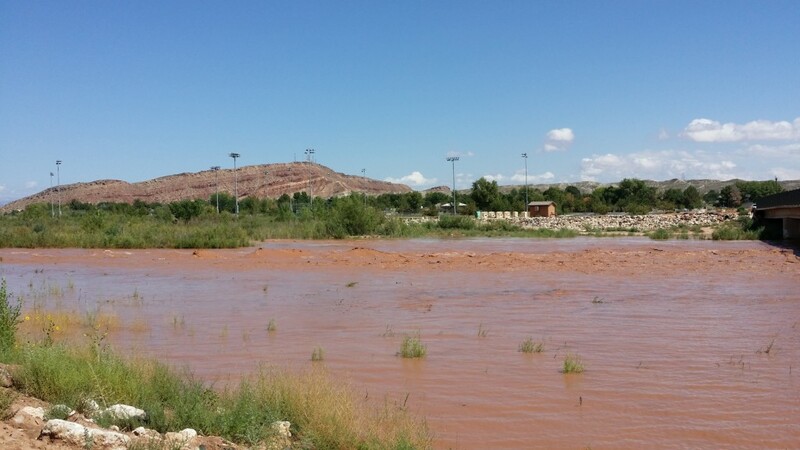 Last update: 4:30 p.m.
SOUTHERN UTAH – The Virgin River continues to rise at an accelerated rate as flood conditions continue throughout the Southern Utah area. 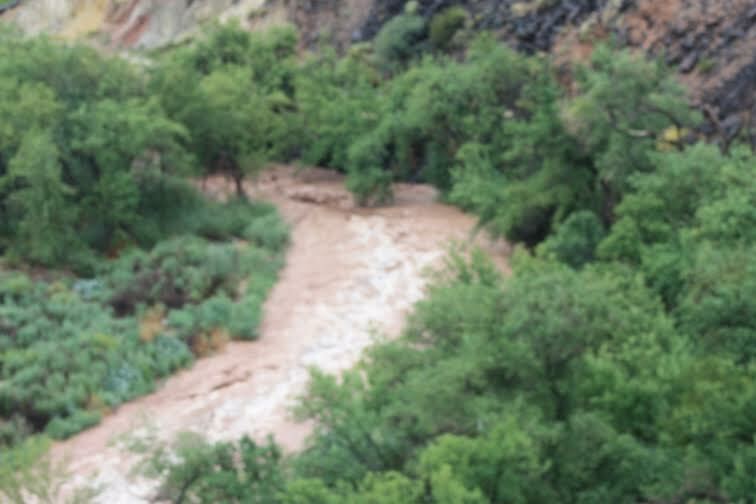 UPDATED 4:30 p.m. Zion National Park has reopened. All roads have been cleared of debris and are now open to traffic. 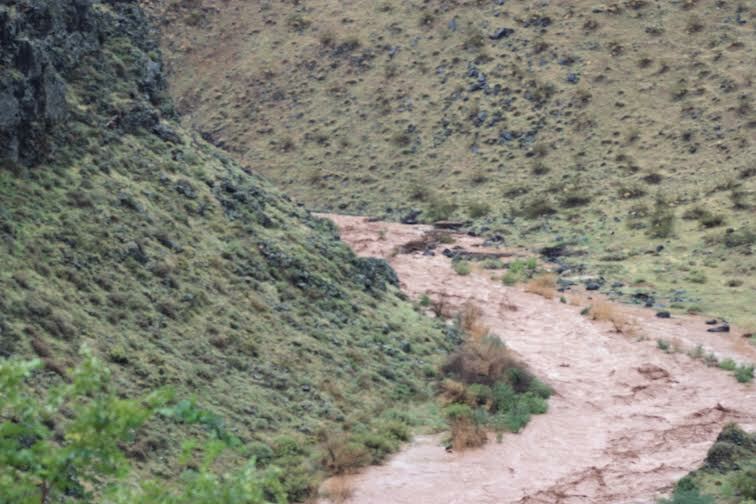 Partial shuttle service has also resumed in Zion Canyon. 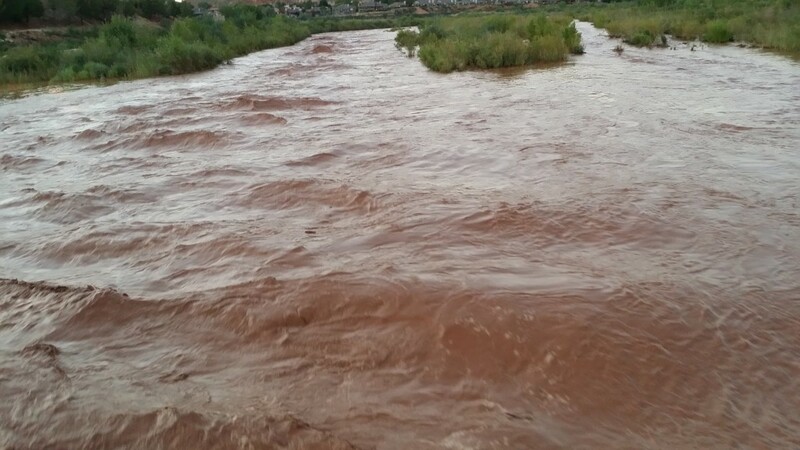 Water levels on the Virgin River in Zion National Park rose from 174 cubic feet per second, or CFS, to 4,790 CFS in a matter of hours Tuesday, according to a press release from Zion National Park. 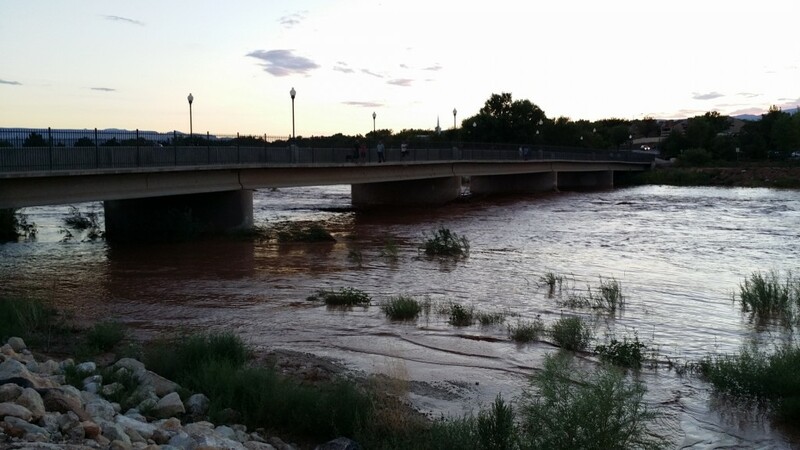 This was the seventh highest river level in more than 100 years. 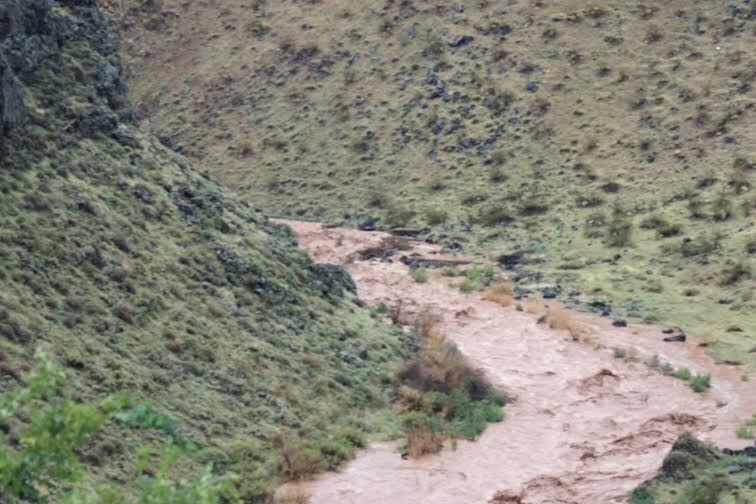 Flooding and debris on both the Scenic Drive and the Zion-Mount Carmel Highway forced the park to close at 1 p.m. 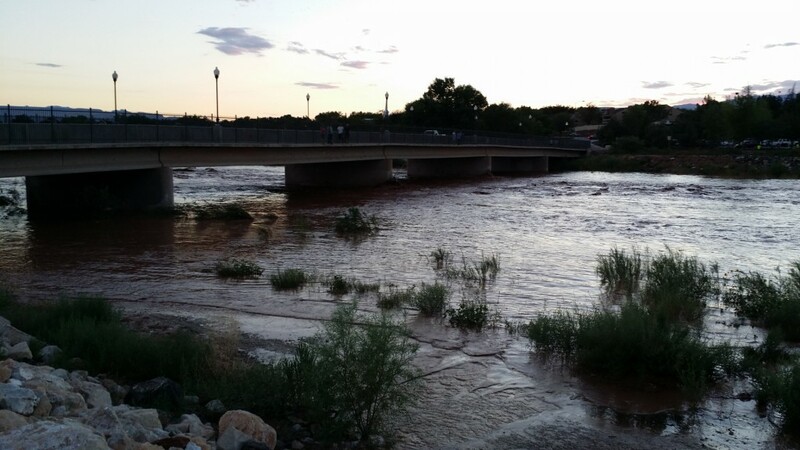 Visitors up Zion Canyon, except those staying at the lodge, were evacuated. 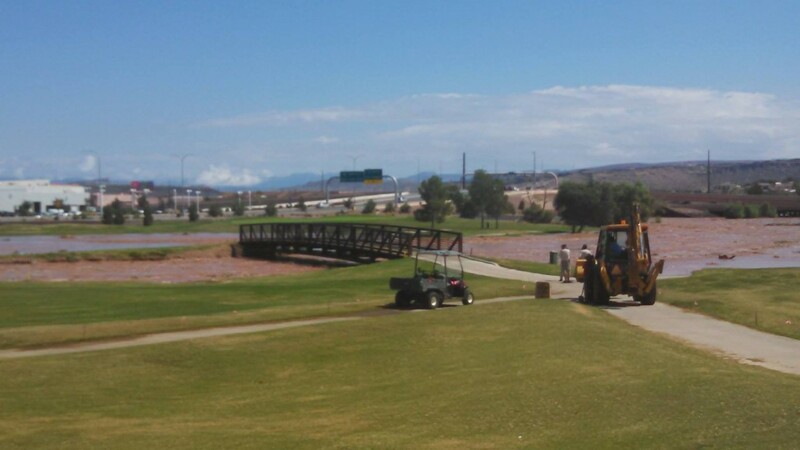 As the water began to recede, park maintenance staff checked the roads and used heavy equipment to remove the mud and debris. 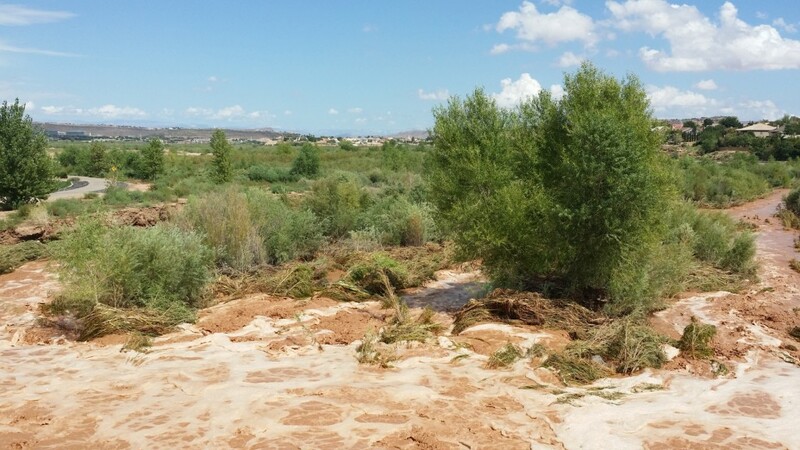 A section of the Zion- Mount Carmel Highway was undercut by flood waters but was quickly fixed. 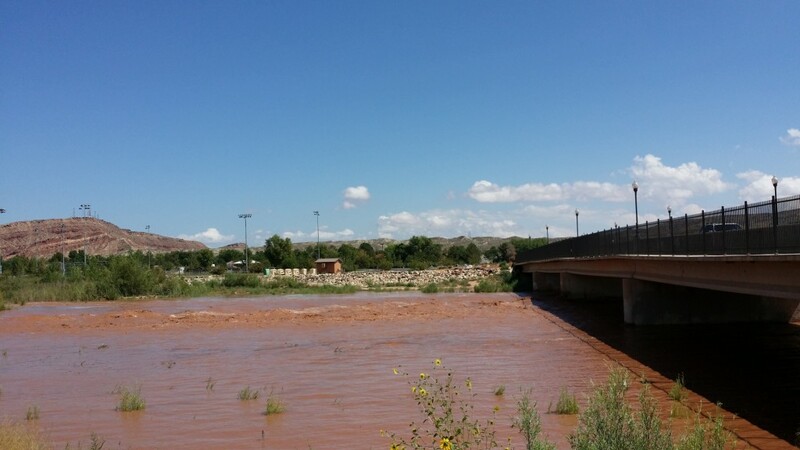 The main park road and the Scenic Drive reopened at 3:30 p.m. with limited shuttle service. 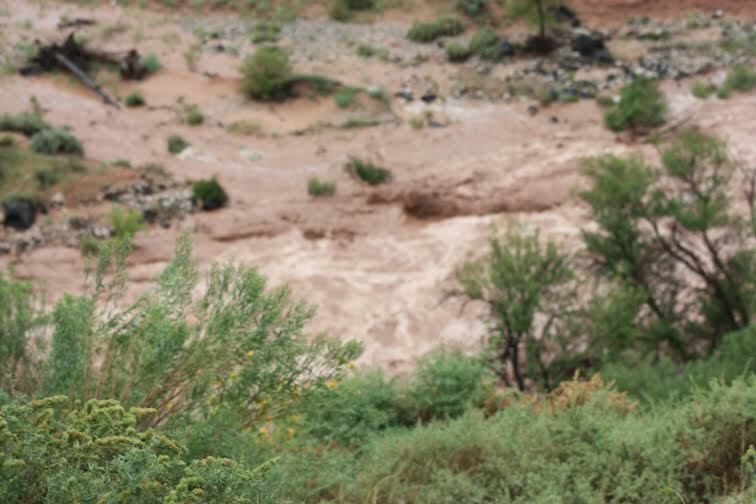 Park staff will continue to check on Zion’s popular trails as well as the Kolob Terrace Road accesses. 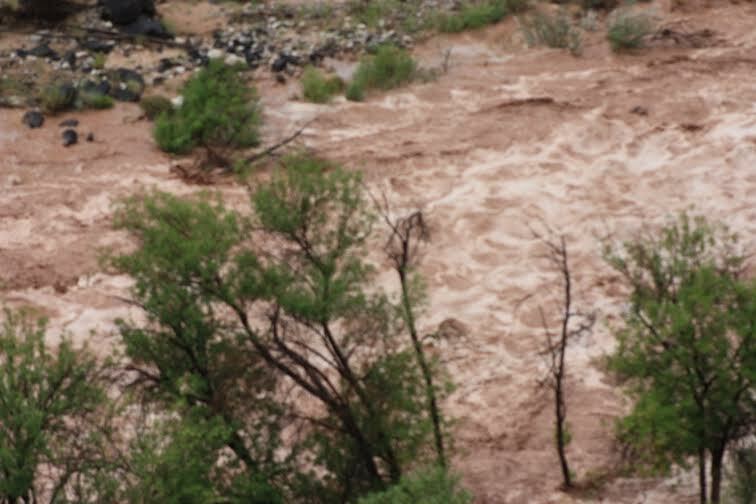 UPDATED 3:20 p.m. Zion National Park was closed down Tuesday due to flooding in the Virgin River, debris on roads and unsafe driving conditions throughout the park. 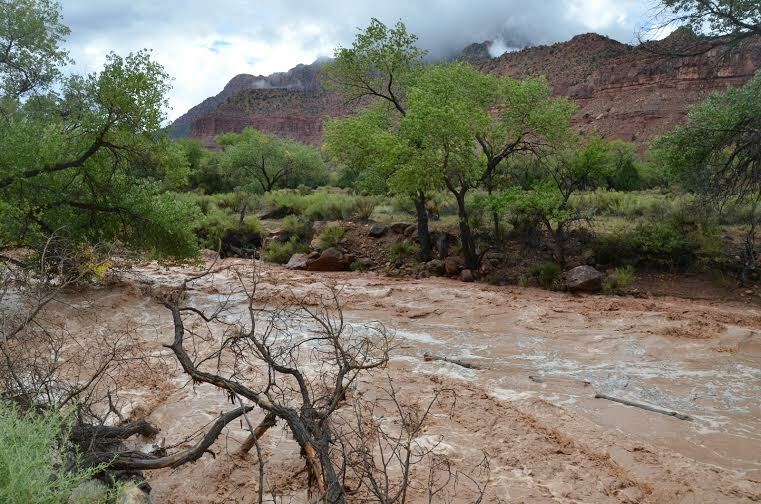 Crews were on scene as of 2:30 p.m. clearing mud and removing debris from roadways throughout Zion National Park, including rock slides in some areas. 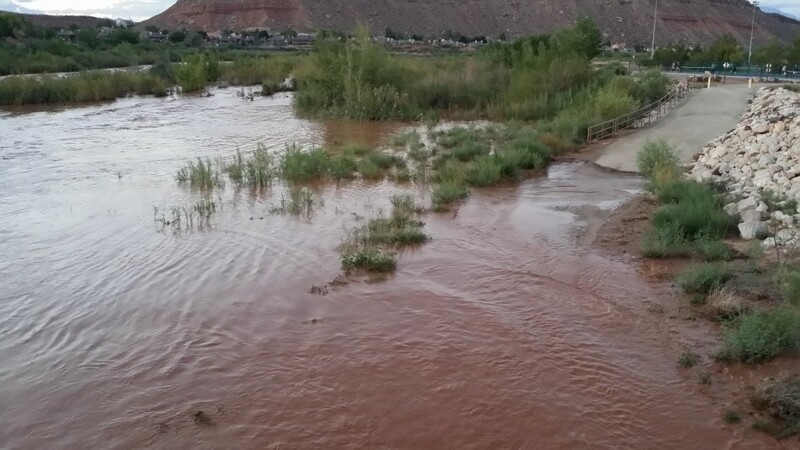 Baltrus said she is hopeful the main canyon can reopen later Tuesday or early Wednesday, providing no further problems are discovered. 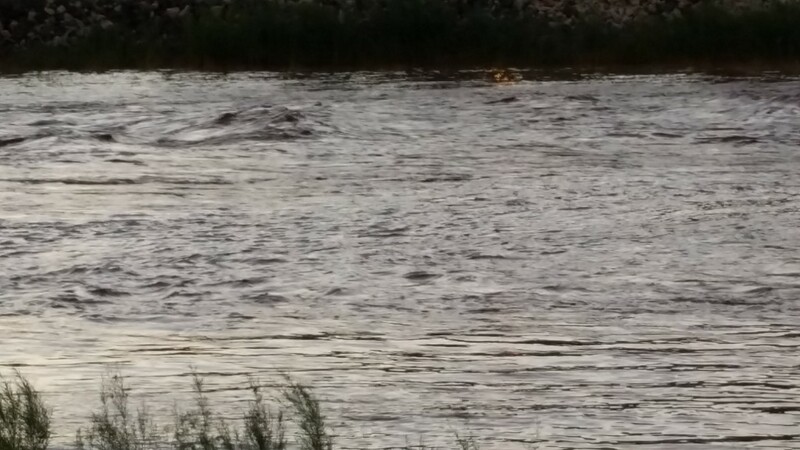 Baltrus said the river flow was at 174 cubic feet per second this morning and reached 4,730 CFS later in the day. 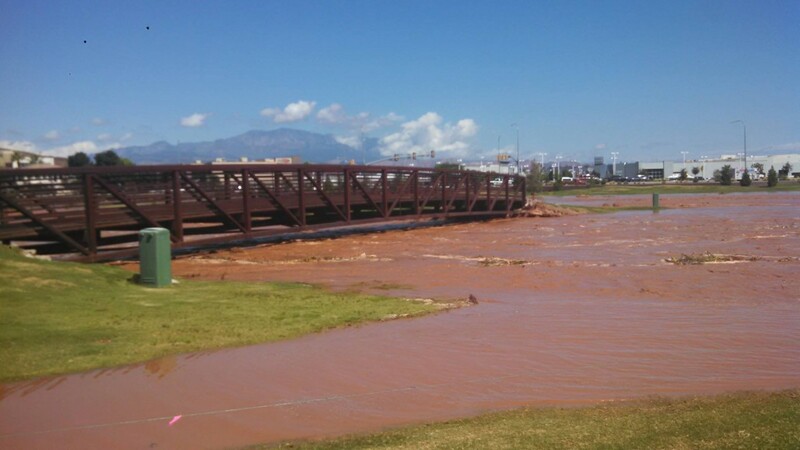 “It was one of our top (storms) since 1965, it looks like, for the summertime,” she said. 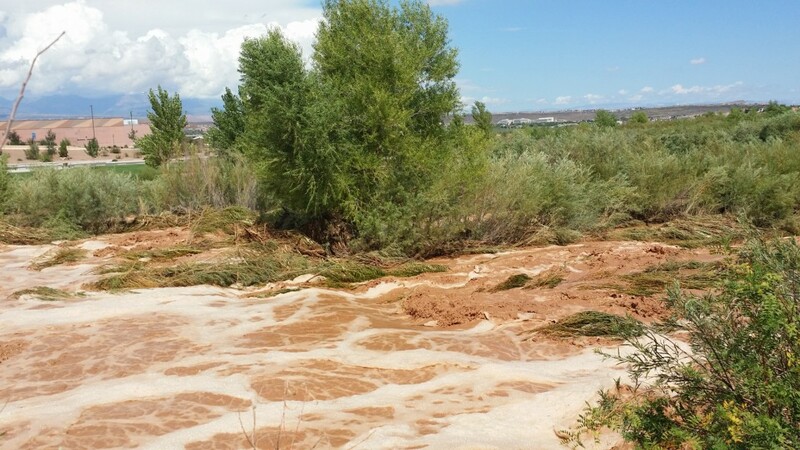 UPDATED 2:10 p.m. As of 9:45 a.m. Tuesday, the Virgin River was flowing at 2,080 cubic feet per second, or CFS, at the point of confluence with the Santa Clara River, near Southgate Golf Course in St. George, according to information from the U.S. Geological Survey. 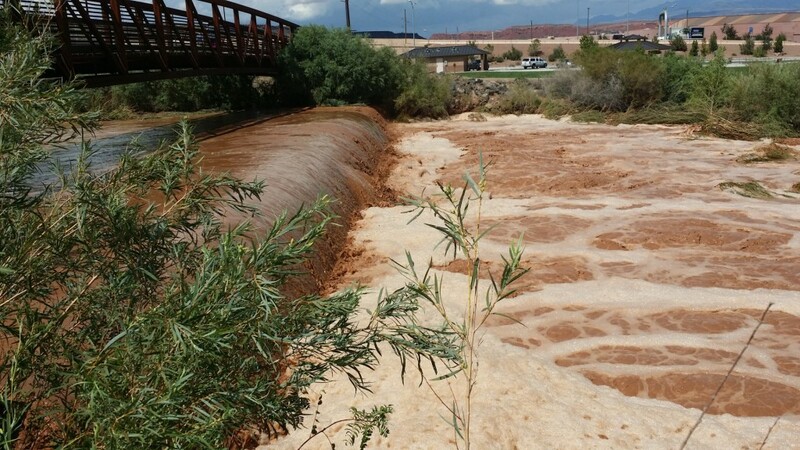 By 11:15 a.m., the Virgin River’s flow had increased to 2,840 CFS, a rate of flow that was 4,939 percent of the normal median flow for that point of the river. 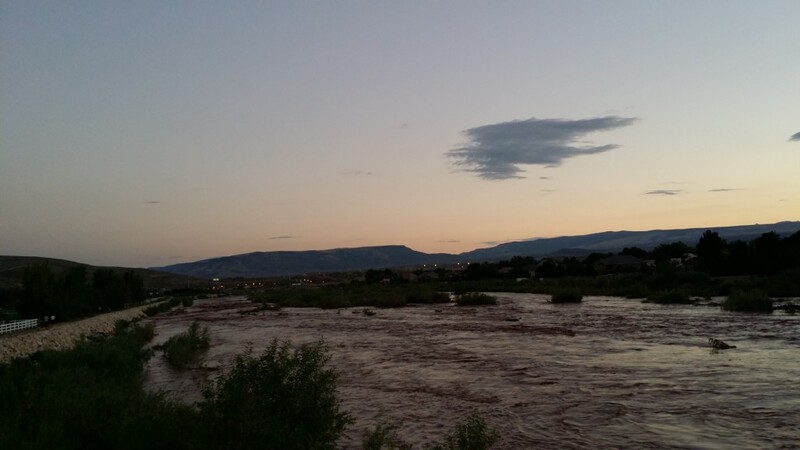 As of 12:45 p.m., the Virgin River’s flow had increased to 5,990 CFS, which is 10417.39 percent of the normal median flow, according to information from the USGS. 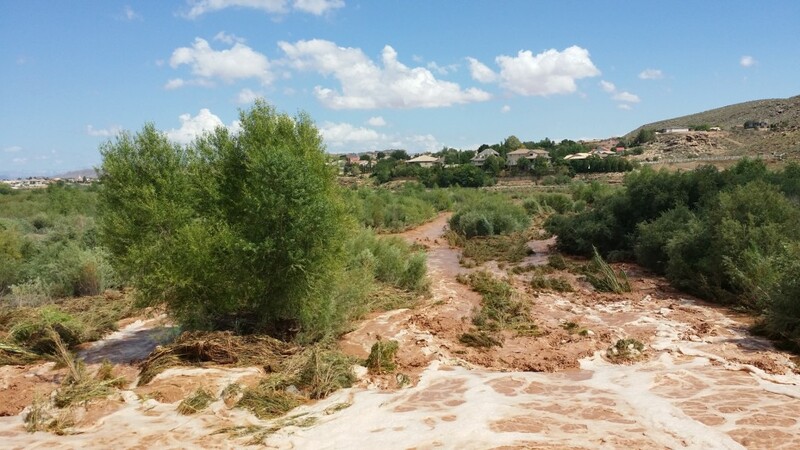 Crews responded to Southgate Golf Course early Tuesday afternoon, including members of the St. George Fire Department, to begin efforts to contain and clean up flooding there as waters covered the golf course and had risen almost to the level of the golf course bridge. 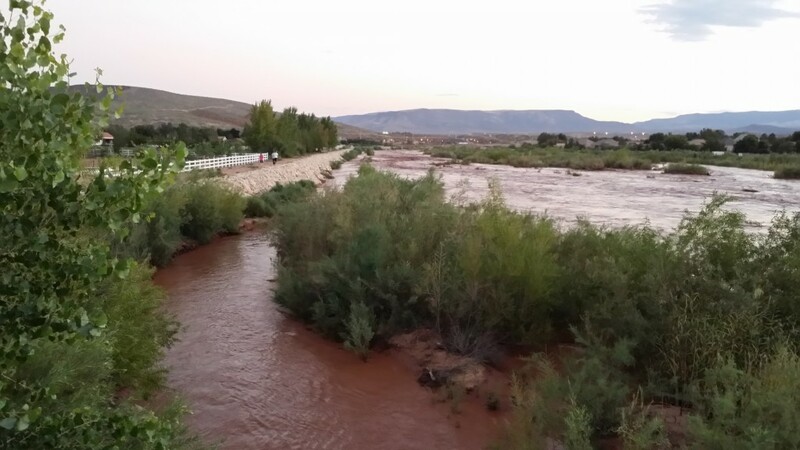 As of 11:45 a.m., flow in the north fork of the Virgin River near Springdale was at 2,430 CFS, which is 5,786 percent of the normal median flow. 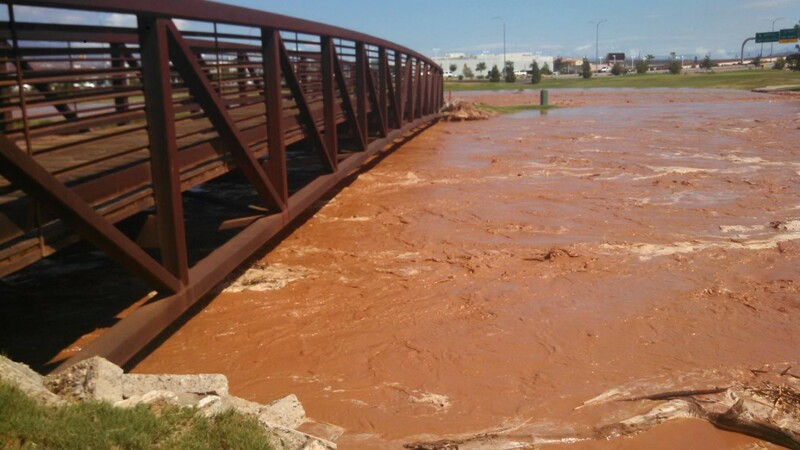 As of 12:45 p.m., flow in the north fork had increased to 4,240 CFS, or 10095.24 percent of the normal median flow. 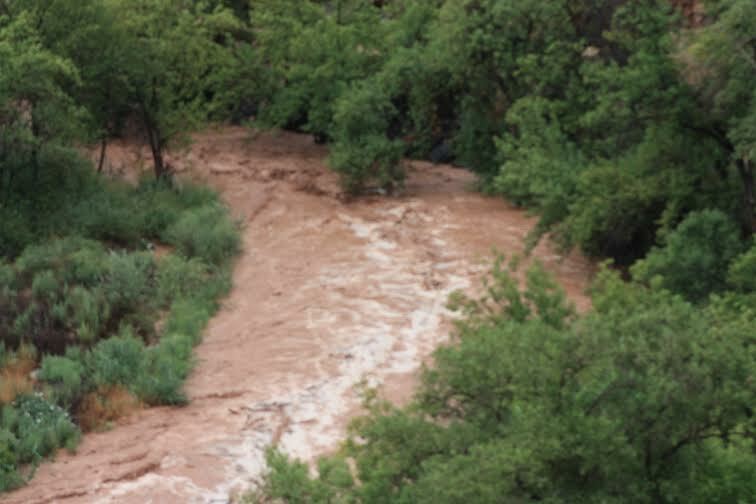 Flow in the east fork of the Virgin River near Springdale was at 1,740 CFS as of 12:15 p.m.
ABC News reported Tuesday afternoon that Zion National Park has closed due to flooding in the Virgin River and impassable road conditions throughout the park. 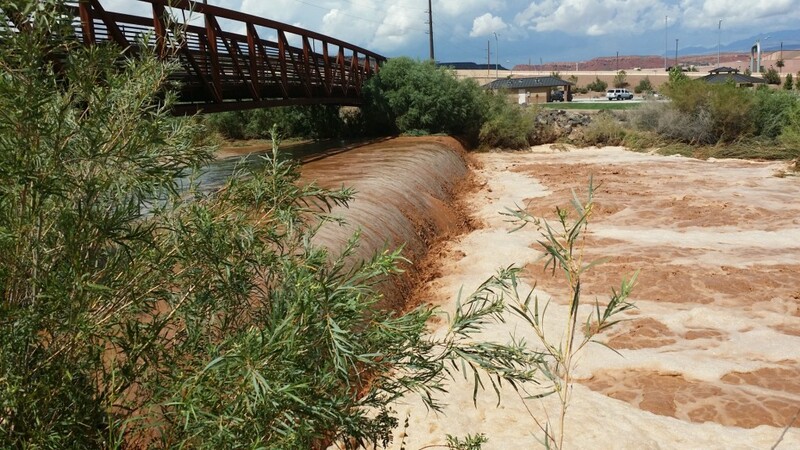 At the time of this publication, park officials have not responded to multiple calls for an update on conditions in Zion. 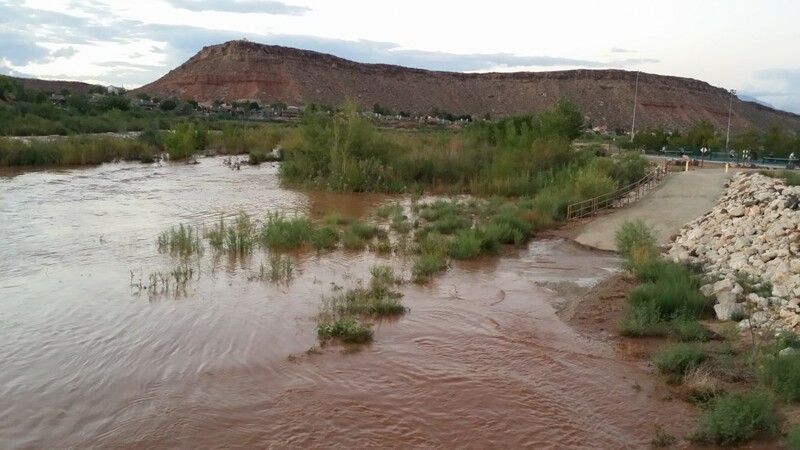 The point of the Virgin River near LaVerkin Creek was at 4,920 CFS as of noon Tuesday, which was 9,371 percent of the normal median flow for that area. 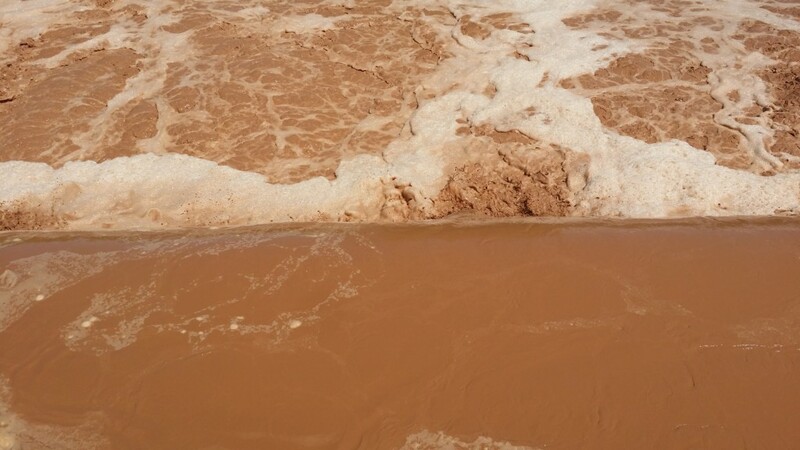 Senior Reporter Mori Kessler contributed to this report. 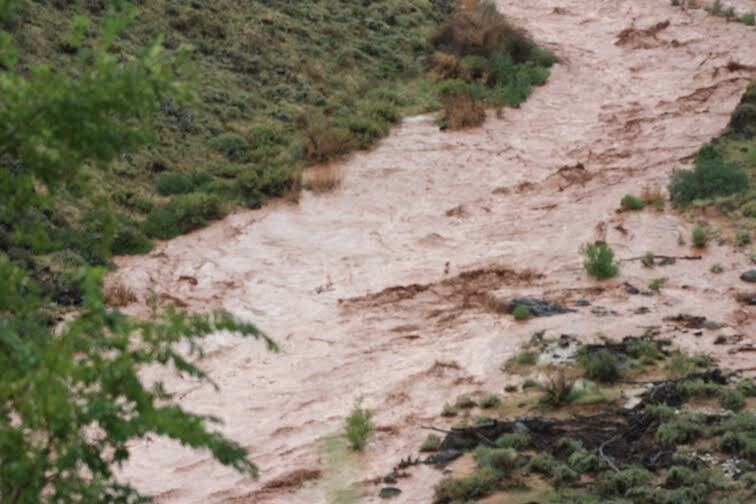 News LIVE: Road closures reported as flooding increases; Updated at 12 p.m.
News LIVE: St. George to Vegas, standstill near Caliente, nose-to-tail trucks; update 12:54 p.m.
News LIVE: Northbound I-15 through gorge open; Updated 11 p.m. 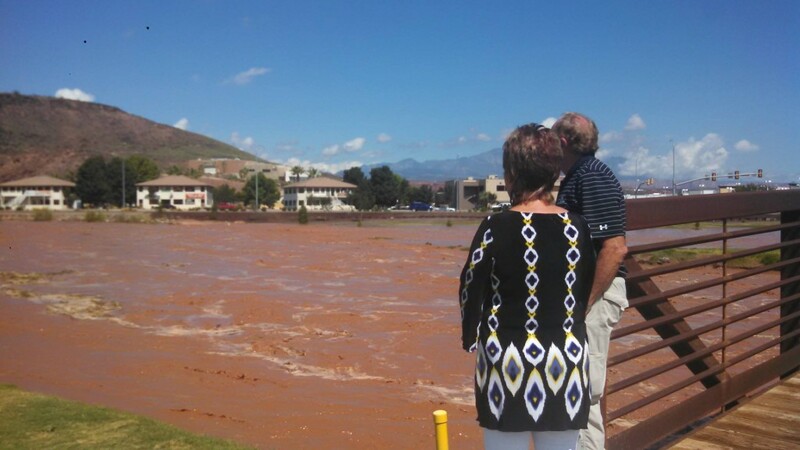 The summer monsoon was strengthened by the sub-tropical Jetstream coinciding with an eastern Pacific hurricane. I must say, St. George News is on top of the reporting business. My hat is off to you all. ( I wasn’t paid a dime to say that).